The city of Joliet ranked far better than Chicago in this year’s annual Allstate Insurance Company America’s Best Drivers Report on the nation’s safest driving cities. Joliet landed 56th on the list compared to Chicago’s 152nd position. Only Rockford, Illinois ranked better than Joliet throughout the entire state. 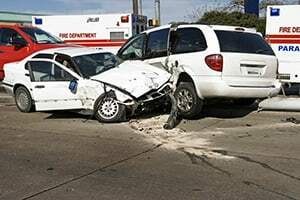 The Joliet car accident attorneys at Rosenfeld Injury Lawyers LLC are committed to assisting people injured in Joliet motor vehicle crashes. Before you consider speaking to an adjuster representing from an at-fault driver's insurance carrier, we invite you to contact our office for a free case review. As with all of Joliet automobile accident cases, we only charge a legal fee when there is a recovery for you. Where do Auto Accidents in Joliet Occur? Our FOIA request confirmed that the following intersections were the most dangers areas to drive in Joliet in 2015-2017. US-52 & W Jefferson St.
IL-59 & W Theodore St. The 2015 report listed the Joliet's rank higher than its former position in the 2014 in-depth analysis report. However, Joliet car accident lawyers know that serious accidents with injuries still occur here every year. In fact, statistics from 2013 show that the four individuals who lost their lives in Joliet in fatal car accidents match historical data from the previous year. Two of those fatalities involved drunk driving. A November 2013 accident in Joliet claimed the life of one individual and injured another. The incident occurred at Delmar and Larkin Avenue in mid-afternoon. The deceased victim’s Pontiac Bonneville was traveling on southbound Larkin when it was cut off by a GMC Yukon. In April 2015, a Joliet man lost his life on Interstate 55 after being struck by a semi-truck and trailer during daylight hours. The victim was driving a 1999 Chrysler that had stalled in the roadway. The Melrose Park truck driver hit the victim's vehicle as he was attempting to move off the road. The man was pronounced dead at the accident scene. Two fatal Joliet car accidents occurred in July 2015. Both fatalities happened on Interstate 80. Illinois State police responded to an incident where an individual lost his life in a two-vehicle accident occurring on westbound I-80 just west of Brisbin Rd. EMT responders transported the male victim to a local area hospital where he later succumbed to his injuries. The second accident involved a three-vehicle crash that claimed the life of one individual and injured two others. The deceased victim was a resident of Des Moines, Iowa. Two other crash victims were transported to a local area hospital, one suffering a life-threatening injury. Rear End Crash – Statistics maintained by the NHTSA (National Highway Traffic Safety Administration) reveal that nearly one in three auto accidents involve rear-end collisions. This is because almost every driver at fault was not paying attention to roadway conditions just before the crash. Hydroplaning – Slick roadway conditions produced by rain and hidden ice can cause hydroplaning where tire tread is not able to maintain contact with the road surface. Hydroplaning causes the driver to lose control where turning the wheel right or left does not redirect the vehicle’s direction. Animal Collision – Hitting a wild animal in the street can cause significant damage to the car and serious injuries to its occupants. It is essential to take caution any time an animal crossing sign is posted on a city street or in rural areas. Side-Impact Crash – Statistics maintained by the IIHS (Insurance Institute for Highway Safety) indicate that side-impact collisions total more than 25 percent of all passenger vehicle accident deaths in the nation. These accidents often involve a “T-bone” collision when one driver fails to yield the right of way to another, causing a side-impact crash. Pedestrian Accidents – Striking a pedestrian with the vehicle is more dangerous than motorcycle accidents and bicycle accidents. The NHTSA indicates that more than 60,000 pedestrians suffer serious injuries every year from traffic accidents. If the accident caused your injuries, losses or damages, you are likely entitled to receive financial compensation if the incident was not your fault. However, these types of cases are challenging to litigate in civil court or negotiate an out-of-court settlement. Because of that, many victims will hire a Joliet car accident lawyer to handle their case. Not only do vehicle accidents cause injuries, anxiety, and stress, the incident can also place you in a financial stranglehold for years as you heal. Car accidents do more than just cause damage to the vehicle. A collision can quickly generate extensive medical bills including hospitalization costs, ambulance transportation fees, surgeries, treatments, and rehabilitation. Victims of car crashes are usually unable to return to work quickly and often lose wages or the ability to earn a living in the future. Additionally, their injuries can produce substantial pain and suffering. Because of that, victims will hire a Joliet car accident law firm that has experience settling and litigating Will County cases. This is because the injured party must prove how other parties are at fault for the collision. A skilled Joliet auto accident lawyer can ensure that you receive the financial recompense you deserve. Your attorney will assume all responsibilities of the challenging claims process and handle all correspondence and phone calls from the insurance company, hospital, healthcare providers and medical bill collectors. The law firm will investigate the evidence and facts surrounding your accident, assess your damages and open communication with experienced attorneys representing every defendant (party at fault). Seasoned Joliet car accident lawyers with a comprehensive understanding of Illinois tort law can also help you obtain financial compensation if the other driver did not have adequate insurance coverage or any insurance at all. Rosenfeld Injury Lawyers LLC at 888-424-5757 is an established personal injury law firm handling car accident cases in Joliet. We can answer every legal question concerning your case to provide various options on the best ways to proceed. Hiring our experienced team of skilled attorneys ensures you of receiving a full financial recovery in your case. We accept personal injury cases on contingency, so no upfront fees are required.